Zond 265 is an elementary stream analyzer for H.265/HEVC video, and complements the MPEG-2 and AVC analysis provided by Qualify. Application software for real-time analysis of transport streams. 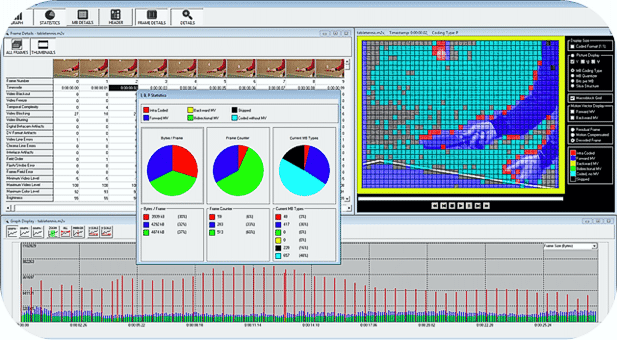 StreamXpert can be used to analyze defects at the transport-stream level, while Qualify work at the elementary stream level.